Prestige Pest Services, Inc. is an Allen pest control company available to treat and prevent bugs, insects, and rodent problems in Collin County. There are many types of bugs, insects, termites, and rodents that are common in Allen, TX and the surrounding Dallas area in North Texas. With extreme heat in the Summer, mild Winters, and rainy Springs, these conditions breed the perfect incubator for undesirable pests in your home and lawn. Termites - Drywood Termites, Dampwood Termites, Subterranean Termites, Formosan Termites, and Flying Termites. 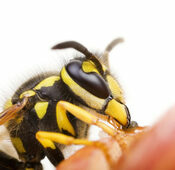 Wasp - Yellow Jackets, Mud Daubers, Paper Wasp, Cicada Killers, and Hornets can be helpful to the environment as they eat other types of bugs, however they can quickly become annoying and can deploy a vicious sting if they're provoked. Mosquitoes - With nearly 3000 different species of mosquitoes around the world and they have become a big concern among many North Texans in recent years. Mosquitoes need blood to provide protein for their eggs. Mosquitoes can live in any type of stagnant water, keeping puddles out of the lawn can reduce the amount of mosquitoes in the area. 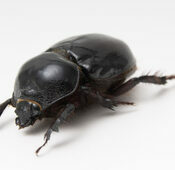 Roaches - There are many type of cockroaches out there and they reproduce quickly. 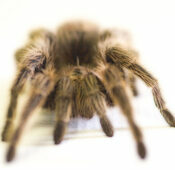 They hide easily and are fast and can enter homes and become a problem if not treated. 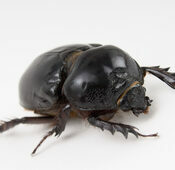 Roaches want food, and will usually invade kitchen areas and living room for their hunt. 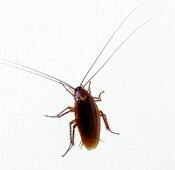 If there are a substantial amount of roaches, a distinct odor will be noticeable. Spiders - Although some spiders are beneficial to catching other bugs and flies, we really do not want a spider web in the corner of the living room or garage that is going to produce more spiders. The brown recluse and the black widow spiders are typically the most venomous spiders that can cause many health problems. Treating and preventing spiders can make your home a more comfortable place to live and sleep. Bed Bugs - If you wake up with a rash or red itchy skin there is a decent chance you may have bed bugs. Bed bugs have been a growing problem across the United States and they are hard to detect because they are so small. 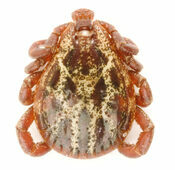 In fact, Dallas was ranked #7 as the worse city in the USA for bed bugs in 2012. They feast on blood and typically thrive in beds while you're sleeping at night. With the proper extermination from a professional pest control company like Prestige Pest Services, you can rest assured that you can sleep tight without having the bed bugs bite. Ants - The common ant problem in Allen, TX and surrounding areas are fire ants. In a single colony as many as 500,000 fire ants can be found. The fire ant will bite then sting and can feel like the sensation of being burned. Fire ants love moist soil and can pop up nearly anywhere. 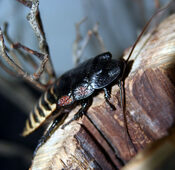 The feed on leaves, seeds, and crickets, in some cases have fatally attacked small animals. Other types of ants such as sugar and and carpenter ants love crumbs on the kitchen floor and will find a way to make entrance into your home or pantry when you least expect it. Fleas - These wingless parasites can jump and thrive on the blood of mammals and birds. Fleas are often attracted to our dogs and cats if we let them out in the yard then back into the house we are creating a breeding ground for house infestation. If you want to prevent fleas the best thing is to vacuum frequently, use a dehumidifier as flease often thrive in dark humid environments with 75% humid or more. Rats/Mice - Rats and mice can spoil food and carry a variety of diseases and love coming out at night. The can chew through wiring and eat through plants. To prevent rats and mice from coming near your home seal garbage cans, holes and any crevices on the exterior of your house. Avoid creating junk areas near your house. Clean up fallen fruit or nuts near trees, and store any bird seed in durable plastic containers. Don't let pests, bugs, insects, or rodents ruin your lifestyle. 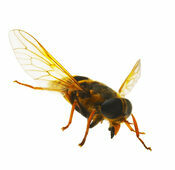 With the proper assessment, strategic prevention, and knowledge, you can avoid many common pests problems. Call Prestige Pest Services, Inc. today at 972-896-2766 for a free estimate to treat your home for common insects, rodents, and bugs.